Laso's team improved after a poor first quarter (12-27) and took control of the game. Carroll and Llull were vital in the 778 Kings match in the ACB. Real Madrid emerged victorious in the Madrid derby against a brave Montakit Fuenlabrada (89-79) . 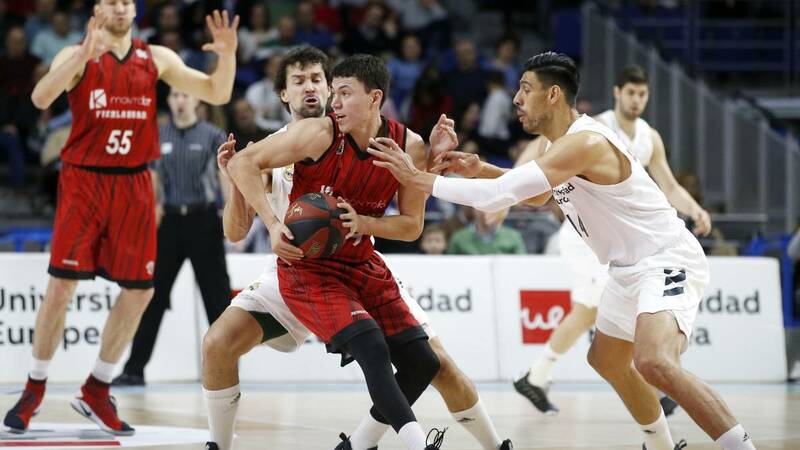 The block of Laso started disconnected from the game, but in the second quarter it improved after the contribution of Sergio Llull (21 pts, 3/7 triples and 5 reb) and Jaycee Carroll (16 pts and 2/6 triples). The team from the south of Madrid did not give up and led by a great Christian Eyenga (19 pts 3/5 triples and 7 reb) managed to maintain the equality until the final minutes. It was at that moment when the whites returned to squeeze to take the duelo. Lasos's team signed one of the worst starts of the season. After a few minutes of scoring the Fuenlabrada stepped on the accelerator before a Madrid as disconnected in attack as in defense. A great Marko Popovic (14 pts and 5 assists) led his team to endorse a partial 11-1111 of 3-20 and close an incontestable quarter (12-27) . It was in is second, after the arenga of Laso, when Madrid woke up. Llull and Carroll allied to unseat the opposing ring from a distance and sign another quarter, this time on the local side, abrumador (31-13) . They scored 13 and 10 respectively to put Madrid ahead at halftime (43-40) . After the break the Real Madrid bloc maintained the level. Next to Carroll stood out Anthony Randolph (7 pts), who stepped on the track for the first time in the duel to increase the rent (68-59). The last quarter began with another visitor argan by Eyenga. The Congolese led his team during the whole duel and uncovered at the end. However, the whites improved in the decisive minutes to sentence the match and take the victory.